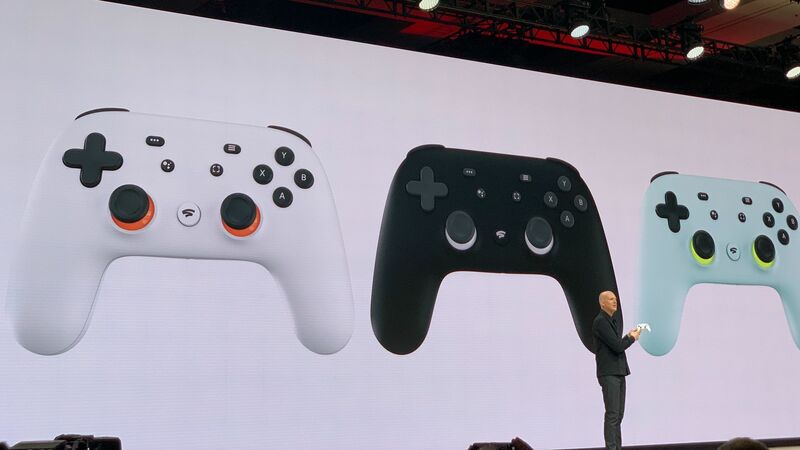 Google on Tuesday unveiled what it sees as the future of video gaming: A streaming service called Stadia that allows anyone with a Chrome browser and a controller to experience console-quality gaming. It will launch this year, Google said, in the US, Canada and Europe. Why it matters: Google's general approach — that what used to be a console for playing physical media is headed to the cloud — is widely shared. Microsoft and Amazon are also seen as likely entrants in this space. Among the first games will be Id's Doom Eternal. Google will also have its own studio making Stadia games, to be led by Jade Raymond, formerly of Electronic Arts. What they haven't said: What Stadia will cost and which games will be available. More details are coming this summer, it said. Flashback: Google has been testing the technical underpinnings of its game-streaming technology since last fall, when it debuted Project Stream. With that, it streamed a single game, Assassin's Creed Odyssey, running off Google's servers. Between the lines: The key to any gaming service is having the right content. Hence, today's appeal to developers.